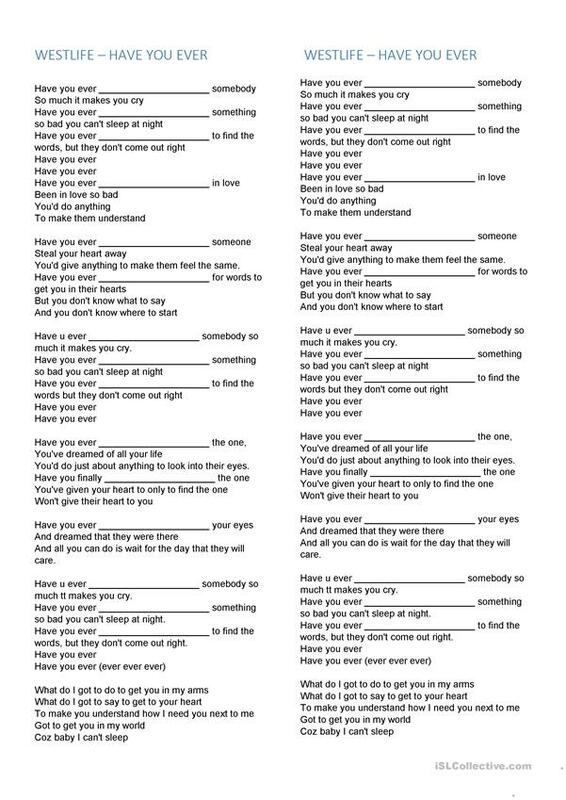 Good song to practice past participle and present perfect. Ss must fill in the gaps with the missing verbs. The song is Westlife - Have you ever and it is suitable for all ages. No key. This downloadable handout is meant for high school students, elementary school students and adults at Intermediate (B1), Upper-intermediate (B2) and Advanced (C1) level. It is a useful material for teaching Present perfect tenses in English, and is excellent for honing your pupils' Listening and Writing skills.